The mobile world literally got its dose of Dell smartphones yesterday after a handful of devices were leaked to showcase Dell's future offerings – and it looks to be quite impressive so far. Long before any of those devices came to fruition, Dell has dabbled in Android before and will soon launch its very first Android phone in the US with the Dell Aero. Some leaked information came around today to offer some additional details into what we can all expect with the handset. Unlike some of the intense specs of the other leaked Dell Android phones, the Dell Aero will be packing an uninspiring 624MHz Marvell processor that just doesn't compare to the speedy results seen with the Snapdragon processor. And just like the Chinese model, the Dell Aero will include a capacitive stylus which should help those that miss the good old days before capacitive screens took the smartphone market by storm. Business owners will find themselves at home as the Aero will come with QuickOffice and support Microsoft ActiveSync and Exchange so they can constantly be in tune with their jobs. Finally, it looks as though it'll have a decent media player on board seeing that it will support some kind of music streaming and music downloads that are protected by Windows Media DRM. Even though its looking to have a Q2 launch, it'll be running Android 1.5 out of the box, but there are speculations that it'll get Android 2.1 some time between Q3 and Q4. Although AT&T customers can go fetch one Android handset so far, hopefully the Dell Aero can add some spice to their lineup. kinda slow device...if my 3gs is last year and is 600mhz..how much faster can this be? 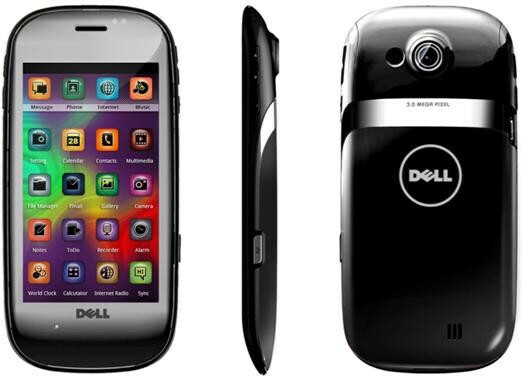 Rumors abound of BlackBerry making a tablet and Dell is making phones....wtf is going on here!?!?!? !